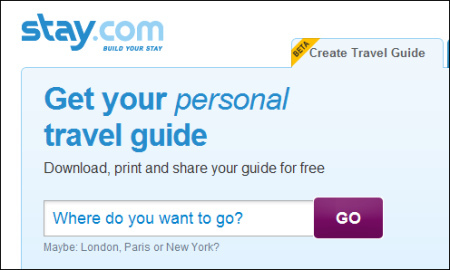 www.Stay.com claims that "We make travel planning easy!" They turn "travel planning into a fun and social activity." Go to the website, login, and then create a personal travel guide to cities ranging from Amsterdam and Athens to Venice and Vienna. You can even print your travel guide in a compact format that you can carry with you on your trip. Stay.com provides "current" and "unbiased" hotel reviews prepared by guests who've stayed at "more than 100,000 properties worldwide from hotels to bed-and-breakfasts to condos to all-inclusive resorts." Here's an example of the travel guide options for Beijing. The year's coolest new cars debut at the Paris Auto Show. Fans of the Great Places Blogmaster will recall a recent post on the subject of the 50 worst cars in the world a week or so ago. Today, however, your Blogmaster recommends that you check out this link, which illustrates eight of the coolest cars in the spotlight at the Paris Auto Show. There, you'll find this beauty, the 911 Porsche Speedster, the throwback to the amazing Porsche 356 that ended production in 1965. The Speedster 911, offering a 408-horsepower, six-cylinder engine with a seven-speed automatic transmission. Production will be limited to just 356 cars, which will have lower windshields than other 911,s as well as a "double-bubble" hardcover that can substitute for the manually-operated cloth top. And the paint color? "Pure Blue," developed specifically for the Speedster 911. LADY GAGA + CEBU PACIFIC + "JUST DANCE" = ROCKIN' APPROACH TO AIRLINE SAFETY! As you faithful visitors have undoubtedly guessed, the Great Places Blogmaster is all about Lady Gaga. Her song, "Just Dance," is on board some Cebu Pacific Air flights, providing background music for the airline's safety demonstration. Following the standard--and extremely boring--safety demo, several of the Philippine airline's flight attendants rock out to the YouTube video, which is, according to Candica Iyog, Cebu's VP for marketing and distribution, "Just another way to bring out our fun culture and showcase our homegrown talents. We plan to roll this out onto more flights after receiving great commendations from the global public."